Enjoy quality living at Hotel Shiva Grand Inn and be assured to get delighted during your stay. The rooms here are modern and well-equipped with wooden furniture for the comfort of the guests. The walls are decorated with beautiful textures and artistic paintings which add charm to the overall decor of the room. The in-house restaurant in the hotel can be used by guests to relax and enjoy some delicious meals. There are CCTV cameras installed across the hotel for the security of the guests. 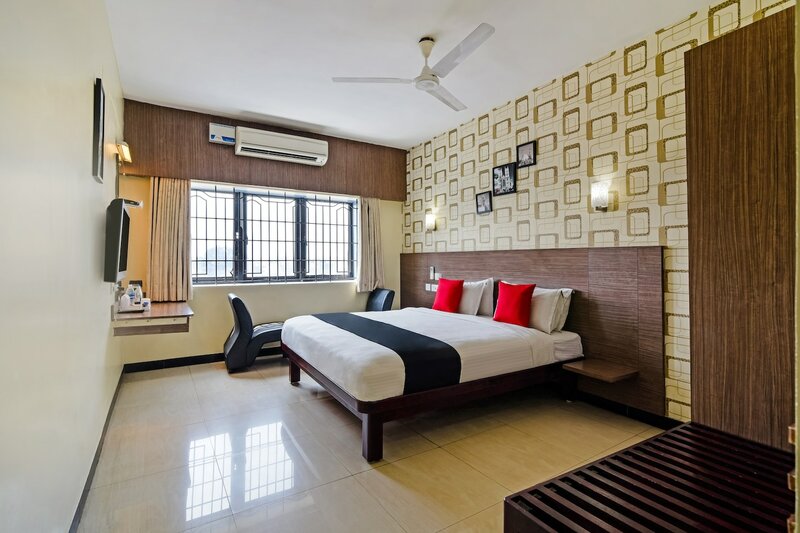 Some other amenities offered by the hotel include parking facility, laundry service and free Wi-Fi to stay connected.